How will the drain technician fix my drains? A blocked drain can be a huge inconvenience and a great source of stress. Don’t panic though, there are many ways you can get rid of a blocked drain. We highly recommend calling a professional drain technician, as this will guarantee you high quality service for a great price. 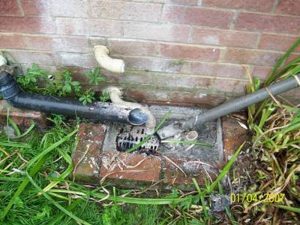 You can certainly attempt to unblock your drains yourself, but you run the risk of causing additional damage that could have been avoided had you called out a professional, particularly if you are unfamiliar with the nature and size of the blockage. High pressure water jetting is a method that is commonly used by most drain technicians. It is a relatively simple process that involves running water at a high pressure through a hose with a jetting nozzle. The simplicity of the task is what makes it such a popular choice, but it is also a method that can be used to tackle even the toughest of blockages. High pressure water jetting can combat a blockage caused by food waste, foreign objects such as nappies, and it can even be used to remove tree roots. The high pressure of the water means that the water runs at a much stronger force, which is why it is able to dislodge most stubborn blockages. High pressure water jetting is also a popular choice because the hose allows drain technicians to reach blockages in drains that are much further away, and the hose can also negotiate the bends and turns you find in pipes. You may think that it sounds like something you could try and do yourself, but there are health and safety concerns that come with high pressure drain jetting, and a professional drain engineer will be fully trained in all these risks. You will also find that the cost of the equipment weighed up against the cost of hiring a drain engineer is very expensive, which is another reason why we recommend calling a professional drain technician who will provide all the equipment and take care of the problem for you, so you can take it easy knowing they’re looking after your drains. Another problem that we see very often is a collapsed drain. This can be a huge nuisance, and particularly difficult to fix yourself so we fully recommend calling a professional drain technician to repair the drain for you, to avoid causing more unnecessary damage. Drains are likely to collapse if they are showing signs of wear and tear, and this is particularly the case with old drains that have not been updated for a while. Over time, drains can wear down and show signs of decay after years of dealing with the pressure of the water rushing through them, as well as holding the weight of the earth above them. Tree roots are also a problem here, as they can find their way into the smallest crack in any drain, and as they expand, so will the crack. Once a crack in the drain becomes big enough, it will cause the drain to collapse as it can no longer withstand the pressure. In most cases, it is simply a small part of the drainage system that collapses, in which case you can call a drain engineer to reline that section of the system. However, if the entire system is very old, then you may find that a more cost effective solution is to reline the entire drainage system. This way, you can avoid having to regularly call out a drain technician each time a new part of the system collapses. Whatever the problem is, the most important thing to do is to act quickly. A problem with your drains will never go away on its own, and will only worsen over time until you are faced with a far more expensive problem that could have been avoided. Flooding is a very serious issue that can be caused when something that has gone wrong with the drains has been ignored for a long time. Not only can flooding cause a large amount of damage to your property, it is also a serious health risk due to the bacteria from all the wastewater. For your own health and safety, call a drain engineer as soon as you notice the issue, to save yourself time and money. Whose responsibility is it to unblock my drains?